In the past few weeks I have come across several news reports from different media outlets highlighting the efforts of Phillip Arroyo, former chairman of the Young Democrats of Puerto Rico, and several others to achieve the presidential vote for Puerto Ricans, akin to the arrangement residents of the District of Columbia have. The main argument behind their efforts is the idea that there is a consensus on the territory for this, among members of the pro-statehood New Progressive Party and the pro-territorial status Popular Democratic Party. 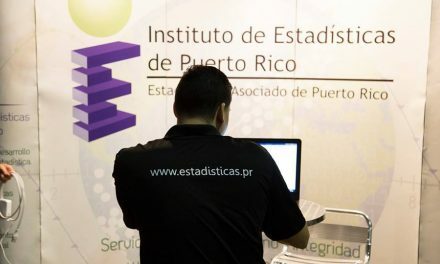 While this may seem like a good idea that would enhance the condition of the 3.6 million American citizens living the islands, the truth is that in effect, the whole endeavor is unrealistic, distracting, and fundamentally detrimental to the goal of achieving democratic equality, both in the short and long term. 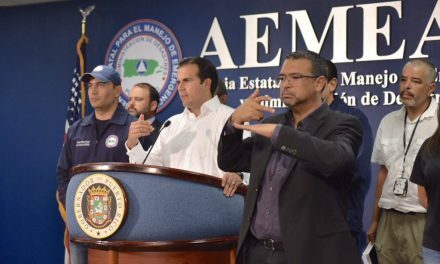 This effort to achieve the presidential vote in Puerto Rico is the product of Arroyo, Sergio Ruiz along with Florida A&M College of Law Professor Maritza Reyes. They argue that there should be a constitutional amendment extending the presidential vote, or the ability to have votes in the Electoral College for Puerto Rico, just as the District of Columbia has as a result of the Twenty-third Amendment to the US Constitution. There are several issues with this movement however, that seems at best like a misguided, if well intended, effort, and at worst as a promotional stunt likely to achieve nothing more than a few news segments. Justifying this amendment in the group’s view, is the support the idea has received from leaders of the two main parties in Puerto Rico, which they see as a response to the request from congressional leaders that Puerto Rico reach a consensus before asking for action from Washington. They are right that in effect, leaders of both parties have supported the idea of extending the presidential vote to citizens residing in Puerto Rico, but they neglect to realize that the inaction in Congress regarding Puerto Rico is not due to differences of opinion in the territory. 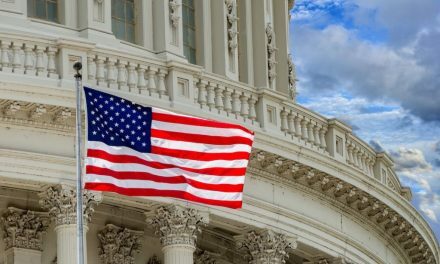 Countless articles have been written about the inaction of the current and previous Congress, and how this seems to be a continuing trend in American politics, a result of ever growing polarization between the political parties and their bases. This alone would be enough to show that action on this issue, is unlikely at best. Couple that reality with the fact that Puerto Rico is simply an unimportant issue for most members of Congress, and you can see how we are in the current situation, and how proposals like these are likely to result in nothing. The group has touted the fact that the 23rd Amendment was ratified in less than 9 months as somewhat of a precedent that this type of process can happen in a relatively short amount of time. But in doing so they are seemingly ignoring the political aspect to all of this. At the time of the ratification, DC was not a liberal as it is today. And as despicable, heinous and anti-democratic as it may seem to deny citizens the right to vote based on their political inclinations, today we know that our members of Congress and other politicians are not above that. Selling this proposal as an achievable process is not recognizing the political reality of the US we live in. Even worse, when defending this proposal, Phillip Arroyo has implied that it is more attainable than statehood. Arroyo should remember that any constitutional amendment requires not just the approval of Congress, but the ratification of at least 38 states. The last time an amendment received this ratification was in 1992, which may not seem like a long time ago, except when you consider that this amendment was submitted in Congress in 1789. Back then, amendments did not usually have a time limit for ratification; not so for the more recent ones. This only proves that the process of amending the Constitutional is a widely variable and unpredictable process, which will likely prove impossible in today’s toxic political environment. Furthermore, adding a state requires only the approval of Congress, as would the granting of independence. To imply that these two options are more difficult is a total misrepresentation of reality. Perhaps more important than the feasibility of this idea, is the practical effect and consequence it will have for Puerto Rico, and the nation. If successful, a 28th Amendment providing for the right to vote for the president to residents of Puerto Rico would would either grant the territory 3 or 7 electors in the Electoral College. There would be 3 if Congress follows the precedent of the 23rd, and establishes that Puerto Rico is allocated as many electors as it would have if it were a state, but no more electors than the least populous state. Wyoming is the least populous state and has 3 electors. Such an arrangement would be belittling at best, not even affording proportional representation in the Electoral College. If however, Congress eschews this precedent, and simply grants as many electors as Puerto Rico would have a right to if it were a state, the total would likely be 7, for 2 senators and 5 representatives based on the population of the territory. This would be a better scenario, but not a solution. Considering the insertion of Puerto Rico into the presidential electoral landscape could maybe mean more attention from candidates and the media each electoral cycle. Could, because this depends on the political landscape of the island. 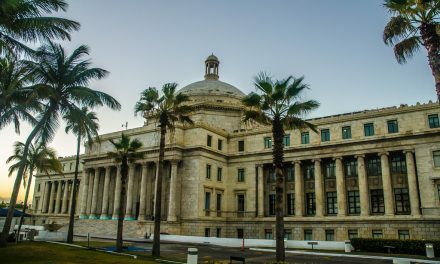 While many expect Puerto Rico to be a solidly Democratic bastion, this expectation fails to take into consideration the complex nature of politics in the islands. If this expectation were true, Puerto Rico could expect as much attention as Oklahoma or Connecticut, which is not much if any at all. Attention is always concentrated in the battleground swing states. Puerto Rico could be one of these, but with 7 electoral votes, it would rarely be decisive on its own. While the right to vote for the president is by all means important and essential to our democracy, it barely captures the totality of influence a citizen has in the republic. Those who know the Constitution understand that the concentration of power is in Congress, with actual representatives watching out for the interests of their districts. Merely having a voice every four years for two offices is not enough to achieve full participation in this democracy. Therein lies the true danger of this proposal. This would be a patch, put to kick the can down the road, instead of addressing the true, larger problem. We need to look no further than the residents of the District of Columbia, which possess the right to vote for the president, but still struggle to be equitable participants in the experiment that the United States are. With no voting representation in Congress, all of their laws remain subject to Congressional veto, and recently we saw how legislators were willing to override the democratic will of the people of DC. Is that the kind of governance we aspire to in Puerto Rico? Furthermore, the intricate process of amending the US Constitution would not only be a delay towards achieving any true permanent solution to the status and democratic issue of the territory, but would actually be a hindrance. Having amended the Constitution, it is more than fair to ask how willing Congress and the states would be to undo that amendment to consider a change in Puerto Rico’s status. The answer would likely be not very, especially considering the political environment we mentioned before. This is all without mentioning that if this proposal were to be successfully enacted, it would do nothing to address the unequal treatment Puerto Rico gets on financial, legal and policy matters in the federal government. This proposal can be dangerous, for it could derail whatever progress has been achieved towards achieving a true solution to the status dilemma, by being an unneeded distraction; a potential scapegoat for members of Congress not enthused about dealing with the true problem of Puerto Rico’s undemocratic status. The efforts going into this idea could be better utilized. If there is a lesson to be learned from the process of approving the 23rd Amendment, is how there was a mobilization across the country to pressure legislatures to approve the amendment. It would be wise to do the same for Puerto Rico, instead pressuring both state legislators and members of Congress to address this blemish on the American democracy. A permanent solution to the Puerto Rico and other territories’ status issue will be neither quick nor easy, but it is needed and worth it. The alternatives are akin to filling up a hole by digging an even bigger one. The only way forward is with a truly permanent fix. A patch that allows the country’s leaders to further procrastinate and delay the much needed, and overdue discussion, of how to address the democratic deficit of the world’s beacon of freedom and opportunity is anything but equality. Puerto Rico deserves better.